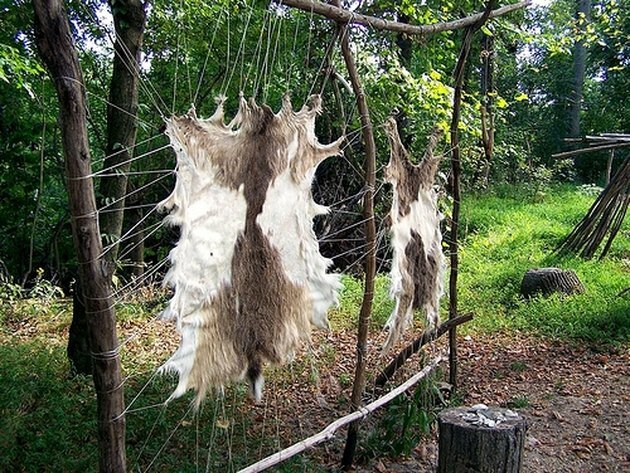 Tanning your own hides and fur skins is a demanding process that includes skinning the animal and removing extraneous material from the hide. 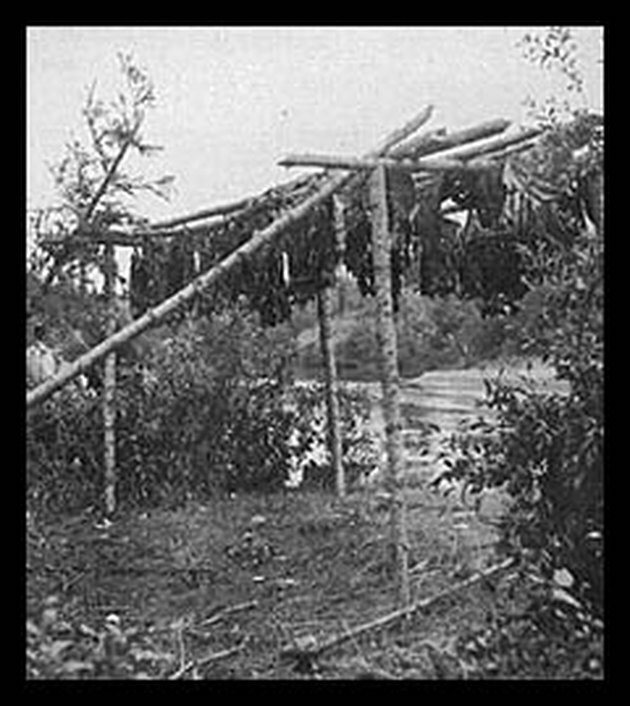 One method is salt and alum tannage. 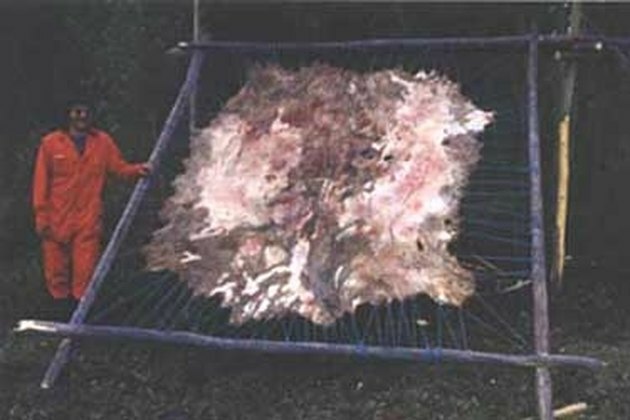 Skin the animal and remove all bits of meat that remain on the hide. Remove any other nonhide materials such as blood and dirt. Trim the edges. Tan with salt and alum. 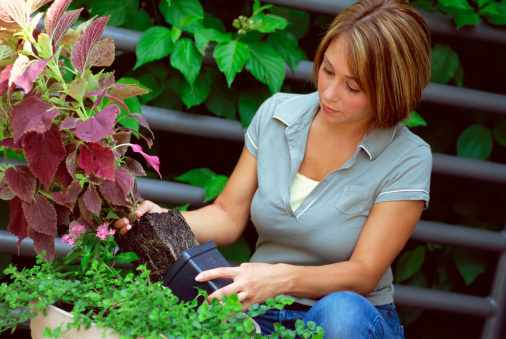 In a nonmetal container, dissolve one pound of ammonia alum in a gallon of water. In a second container, dissolve 8 ounces salt and 4 ounces powdered washing soda in a half-gallon of water. Slowly empty the salt mixture into the alum container. Stir rapidly as you do so. Make the alum compound into a paste and spread it on the flesh side of the skin. Add flour and water to the solution until you get a thin paste. Blend out all lumps before spreading. Lay out the skin, making sure it is completely smooth. Lay and tack flesh side up. Paste to about an eighth of an inch thickness. On day two, scrape off the paste and reapply a new coat. Thicker skins will need additional applications on additional days. When you apply the last coat, leave it on for four days. 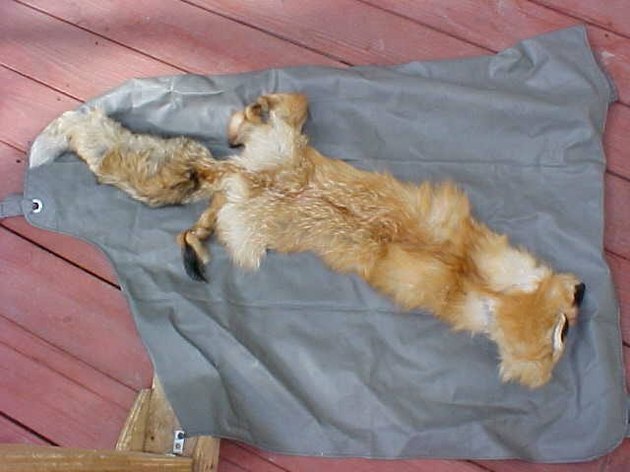 On the last day, scrape off the paste and rinse the hide with a gallon of water mixed with an ounce of borax. Rinse again with water only. Spread the hide and press out the water with any implement with a dull edge. 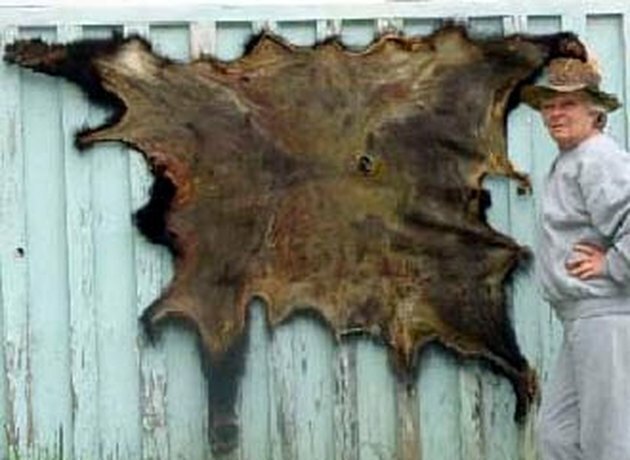 Oil and finish the hide.